ObjectBox now runs on the EdgeX Foundry IoT Edge Platform. Utilizing ObjectBox’ speed and ease of use, EdgeX users can now compute millions of data points on the edge with minimal latency. 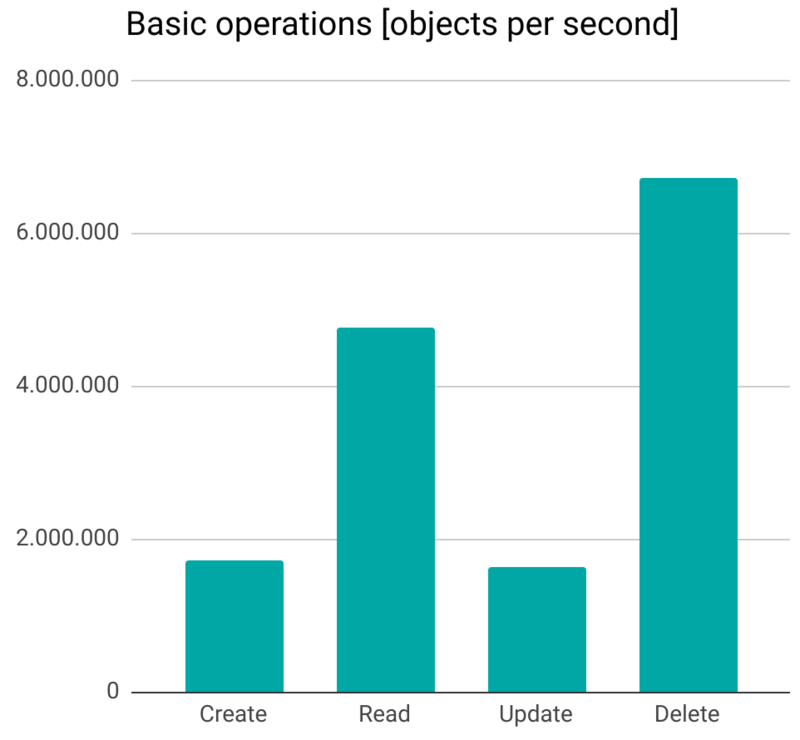 ObjectBox’ small footprint of less than 1MB makes the database uniquely optimized for high performance on IoT edge devices and gateways, as well as fog nodes. Combining the speed and size advantages of ObjectBox on the EdgeX platform, we empower companies to analyze more data locally on the machine, faster than ever before. 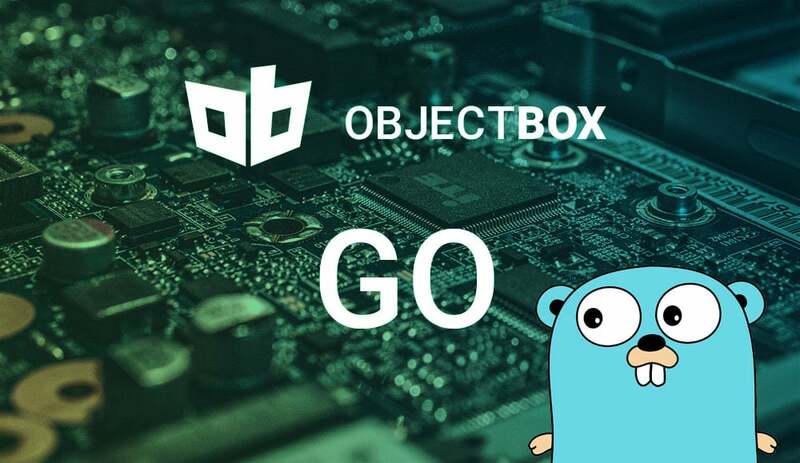 As an object oriented database, ObjectBox is the perfect solution for structuring data within complex data models, from artificial intelligence and machine learning applications, as well as image recognition software that is beginning to be used more commonly on the edge. With ObjectBox-backed EdgeX we’re bringing the efficiency, performance and small footprint of ObjectBox to all EdgeX applications. 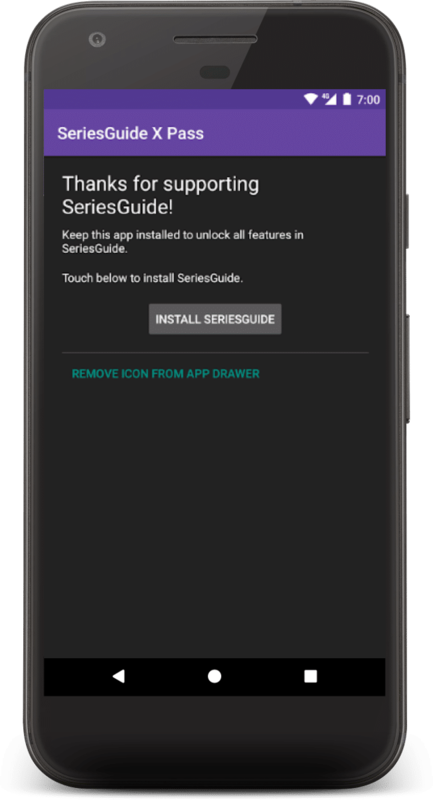 It is fully compatible, so you can use it as a drop-in replacement. And if you call against existing REST or Go EdgeX APIs, you do not need to change the code. Our version is based on the latest sources leading to EdgeX 1.0, which is scheduled for June. And once EdgeX 1.0 is finalized, we will be ready to upgrade the ObjectBox Edition to 1.0 right away. You can check the status of your running services by going to http://localhost:8500/. At this point, you have the REST services running at their respective ports, available to access from your EdgeX applications. 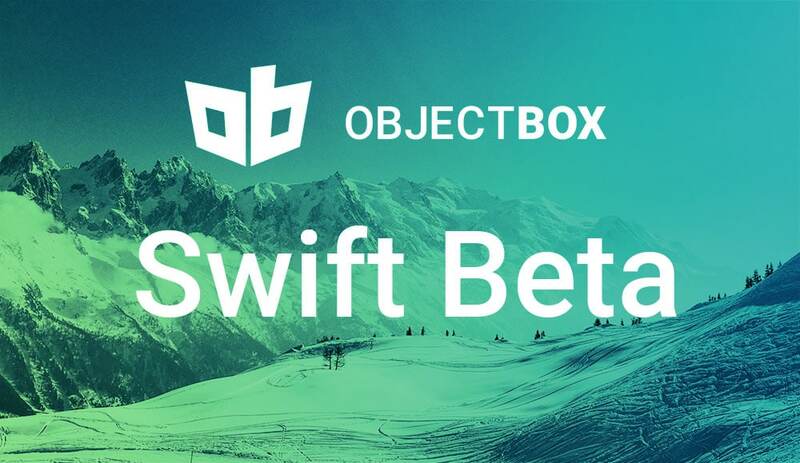 Find more details and sources in our GitHub repo at https://github.com/objectbox/edgex-objectbox. If you’re new to EdgeX, you can visit the EdgeX Foundry IoT Edge Platform home page to find out more. Last not least, we are always happy to hear from you. Post any questions you may have on stack overflow tagged ObjectBox. 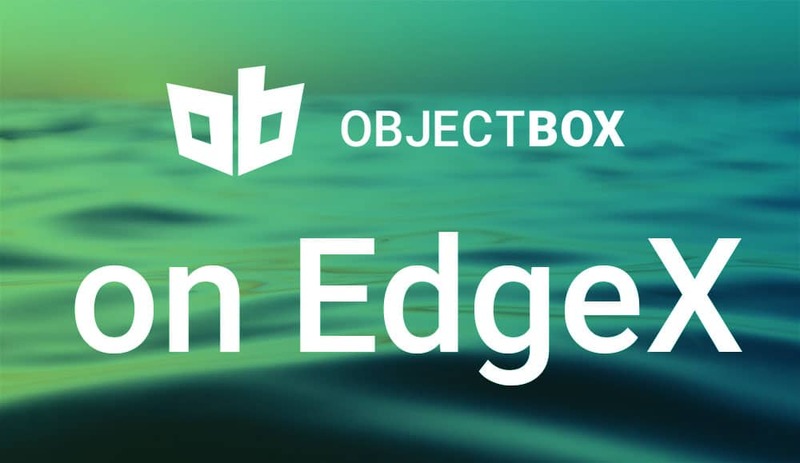 Please share your thoughts on ObjectBox EdgeX with us via Twitter, Facebook, or Mail (contact [at] objectbox . io). 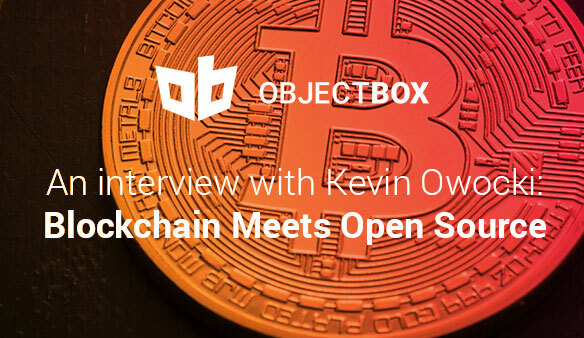 Vivien had the chance to chat with Kevin Owocki, about his latest project GitCoin, and the intersection of open sourcce and blockchain. Vivien: Hi Kevin, thanks for talking with me today. Why don’t you start by telling me about yourself and your current open source project, GitCoin? 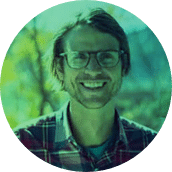 Kevin: I’ve been a startup entrepreneur over the past ten years, and all of the businesses that I’ve built on or built have been based off of open source software. One of the things that I’ve learned is that value accrual goes to the application layer, to the data that you’re collecting about marketing, and the services that are built on top of the software. 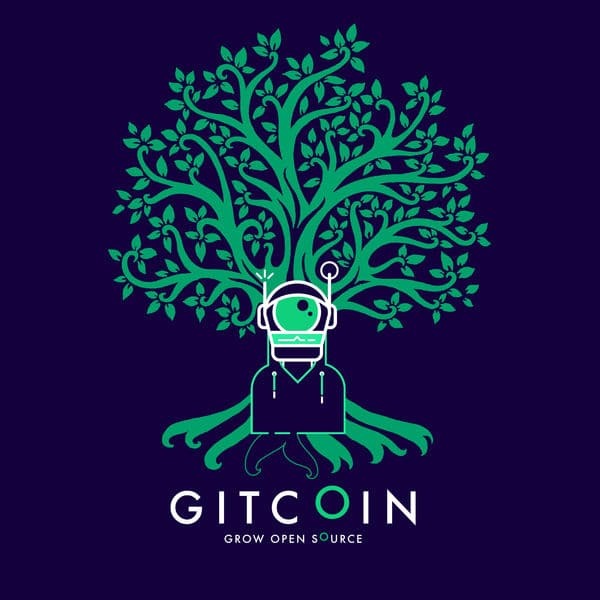 Gitcoin is my current project, and its mission is to grow open source. Our thesis is that Blockchain is a game changer for open source funding. There’s so much money in Blockchain right now because of the 2017 Bull market… billions of dollars chasing too few developers. And that creates an opportunity for developers to monetize their work in open source software. Gitcoin is our core product and it’s basically a double sided market: people who want to augment their team can hire talent on a per-issue basis. So, it’s less commitment than hiring someone for a contract. On the other side, developers get to work on issues in open source, learn new skills, meet new people, and get paid using cryptocurrency. We incentivize developers to work on their open source software. The second product that we just launched is called CodeFund, kind of like a sub brand that we’re working on. Basically, it is ads on documentation sites that are aimed at open source developers. So the idea is that if you have a following for your open source repo, you can create passive income by putting ethical advertisements. These advertisements don’t track your users on your documentation site or on your Github and they sustain your open source with passive income. This is a long way of saying that we think Blockchain is a game changer for open source funding and are trying to build the rails for capital deployment to open source projects. Vivien: We work in the worldwide market where laws are different, e.g. EU vs US. Do you have support for the contracts? Kevin: Each project kind of has its own license, and we have a repo setup guide where we ask people to add contributor guidelines, licenses, stuff like that. If you look at the Gitcoin terms of service, it basically says that if you develop for this repo, then you are assigning rights according to their license. But the worldwide nature of all of this stuff is very interesting because enforcing IP agreements, from Germany over to the US, there’s not really a court of law that handles that, so we’re kind of waiting for the legal system to catch up in that respect. Vivien: You’ve built all your business on open source. What do you recommend to other people looking to build on open source? Kevin: I think it depends on the nature of your business and whether or not open source can accelerate it. For me, I’ve built a lot of B2C companies, and leveraging open source data stores and open source web servers worked for me, but if I was a risk averse financial institution, then I think it’d be different, right? We think Blockchain is a game changer for open source funding and are trying to build the rails for capital deployment to open source projects. Vivien: Why did you choose to always build on open source? What do you think is best about open source? 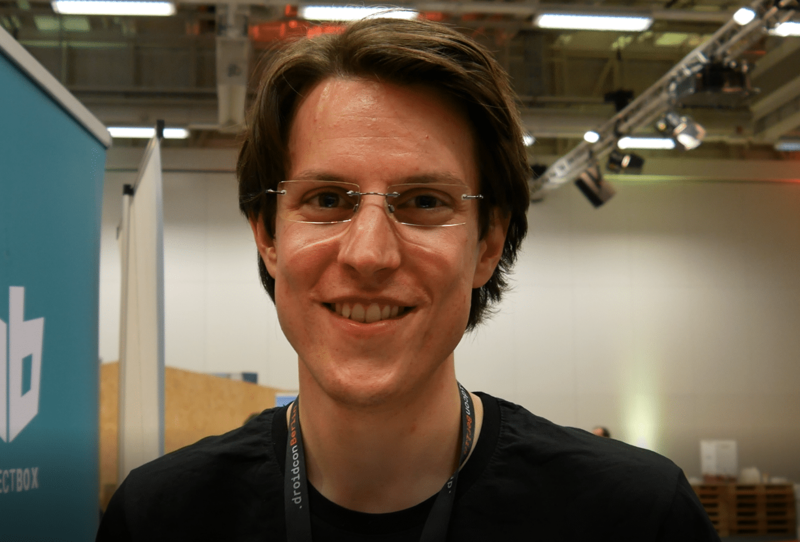 Kevin: I think that open source tools with an active community are the ones that are going to have the need for developers, because they have support, and support isn’t monopolized by one company. 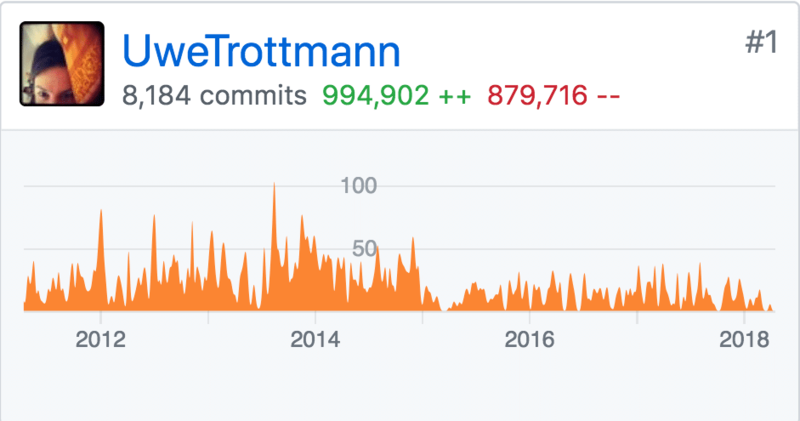 I think that because of the scale of development today, if you have a problem with an open source repo, you can likely search it and find someone else who’s had that problem in the past. I actually just watched Revolution OS, which is an interesting documentary about the free software movement. Then later the open source movement, and it made a really interesting case. Just focusing on creating great software, and not worrying about the RM and licensing of that software, you can get it in the most hands possible. This includes people who are focused on creating working software over comprehensive documentation or licensing, and therefore that tends to create the best software over time. I think those are all reasons that I’ve been doing it, but it’s very much a cultural thing in startups these days. I think if I’d been born a generation earlier, maybe we’d be singing the praises of Microsoft Visual Studio or something like that, but it’s a generational thing, you know? If you’re an open source developer… it’s about more than good compensation, it’s about doing work that aligns with your values, and has an impact on the world. Vivien: So, you use open source projects as a basis – what is your business model? Kevin: Well, in my prior businesses, we would build off open source but our software itself was proprietary. We sold it with various degrees of success (laughing). I think for Gitcoin we’re still figuring out the business model, so I’m in awe a little bit, about that, but it’s basically a question about where the value accrues in the network. 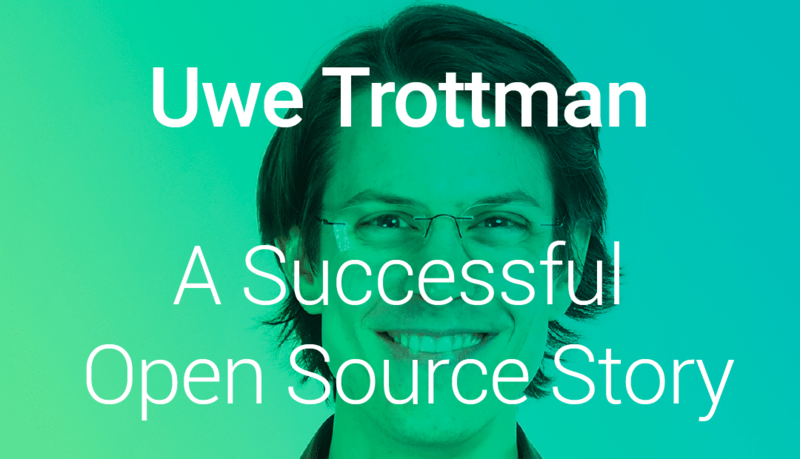 Our core thesis is that by focusing on being open source, we can make our product as good as possible because we have the most contributors. We think that the value accrues in the brand, and the relationships with the customers. So, while anyone can fork Gitcoin and copy it if they wanted to, then they wouldn’t have our network of developers, they wouldn’t have our mission and our ethos, and they wouldn’t have the relationships with the people who are going to deploy the capital. So, I think it’s very much a work in progress, but that’s a strategy at least, Gitcoin is less than a year old so that’s the strategy in year 0. Vivien: But you’re already quite big, right? How many users do you have? Kevin: We’ve got about 7,000. We’ve benefited from being well funded by consensus, but I wouldn’t say we’re super big yet, the open collectives of the world have hundreds of thousands of users and so I think, that to me is big. I think we’re still a small startup. Vivien: What types of projects do you think you’ll be mainly supporting? 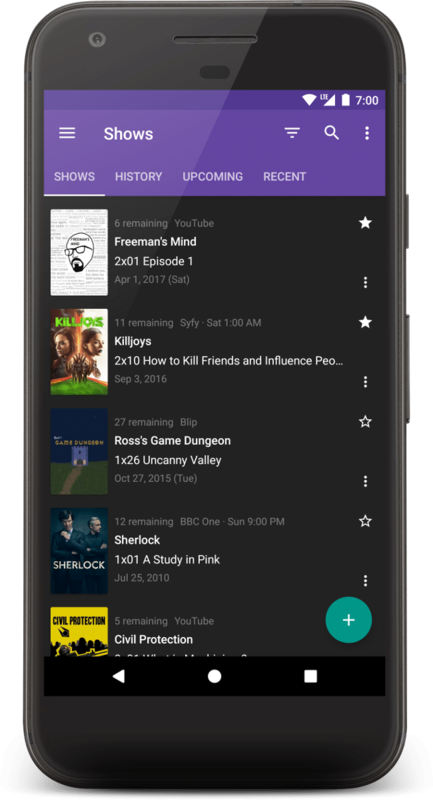 Like big company type of open source projects? 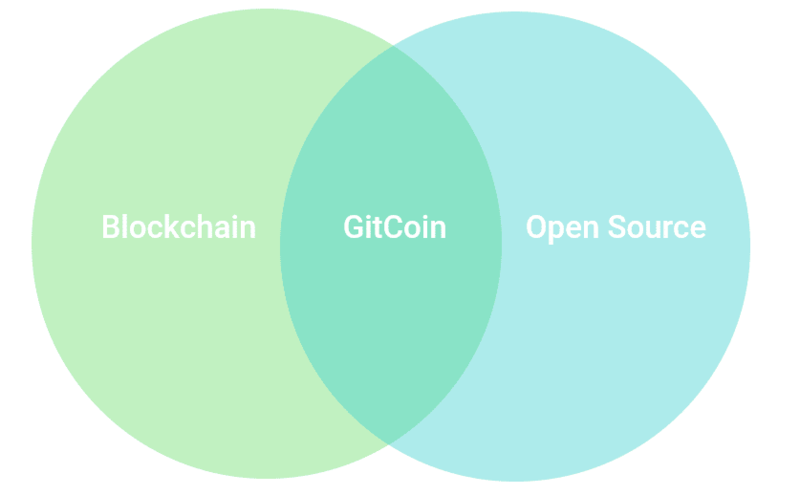 Kevin: If you picture a Venn diagram of open source software and Blockchain, we’re in the center of that Venn diagram, and it means that a lot of the people we fund are kind of like Blockchain hipster types, to be honest. 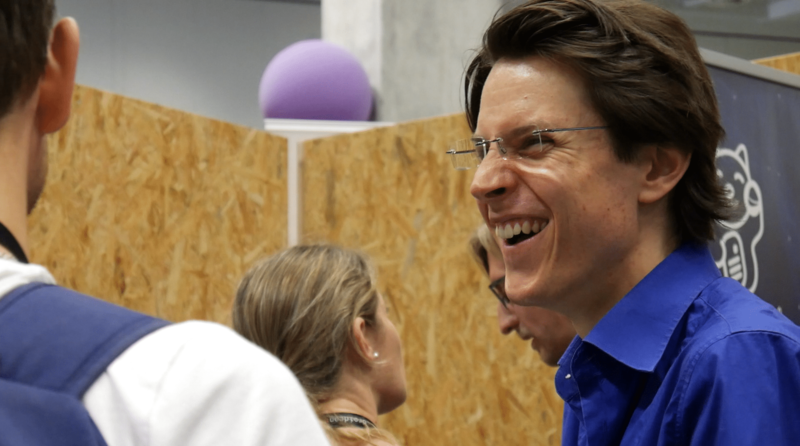 I think eventually we would like to go into the broader open source community, and traditionally that’s been monetized with big corporate types, and so I think there’ll be a cultural shift and maybe a little bit of a brand shift as we do that. But that’s very much a year 2 or year 3 thing, there’s plenty of money in Blockchain, so we’re in no hurry to exit that niche at this point. Vivien: So if I have a small open source project, often I struggle devoting my time to it, especially if it’s more of a side project, could I expect to be getting help in your community, and what would I need to expect to pay? 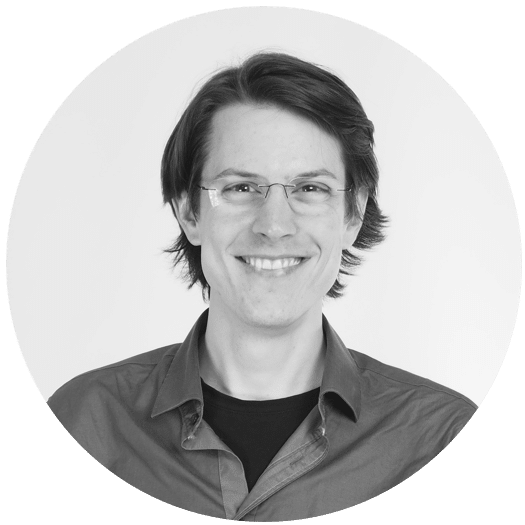 Kevin: One of the things that we found about open source software developers and their motivation is that it’s about more than good compensation. It’s about doing work that aligns with your values, and has an impact on the world. 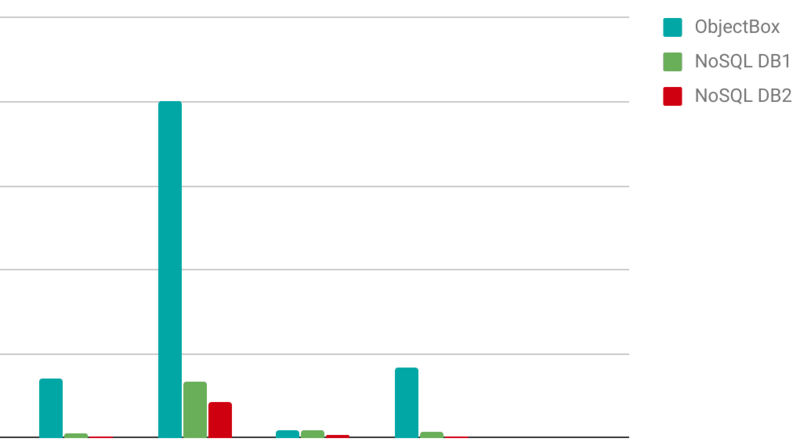 So, if you’re a repo maintainer that wants to incentivise people to work on your repo, having a mission that aligns with your core contributors, and giving them an ability to impact your project are two axes that you can modify in addition to the compensation axis. When you’re seed stage, you want to be working with people that are intrinsically motivated to work on your project. Balancing those intrinsic and extrinsic motivations is really important. If I were talking to a repo maintainer who wants help on their project, I would help articulate their mission, and identify where people can have an impact. Only then would I start thinking about putting Gitcoin balances on their repo. Vivien: There’s a whole ecosystem of great libraries that are used by thousands of big companies, yet struggle to maintain their projects due to restrained resources. How can they get paid? Can they get paid? Kevin: I’ll hedge my answer a little bit and say that I am at the intersection of Blockchain and open source, and I think that Blockchain changes the dynamics of funding for open source. This is sort of outside of my area of expertise, but I do have ten years of experience in working on software prior to doing Blockchain stuff, and so for that reason I empathize with the contributors of these project. They built something that by all accounts brought lots of value for the world. There is this paradox with software, that strategic value doesn’t always mean economic value for the authors, but my hope is that we can solve that problem moving forward. For right now, I would say these contributors could try to put some CodeFund adds up, because if you can earn a couple hundred to a thousand dollars per month by putting ethical advertising in front of your audience, then I think that at least helps ease some of the pain associated with those support requests and feature requests. Right now I think that we’re sort of in the early stages of the Blockchain revolution, and so I can’t say that we have anything immediately up our sleeve, but I hope that things change and turn around for projects like this. Kevin can be seen speaking at Coinvention in Philidelphia, August 31, 2018.